A horse in south Houston fell 20 feet into a concrete well under construction last night at South Post Oak and Anderson Drive. 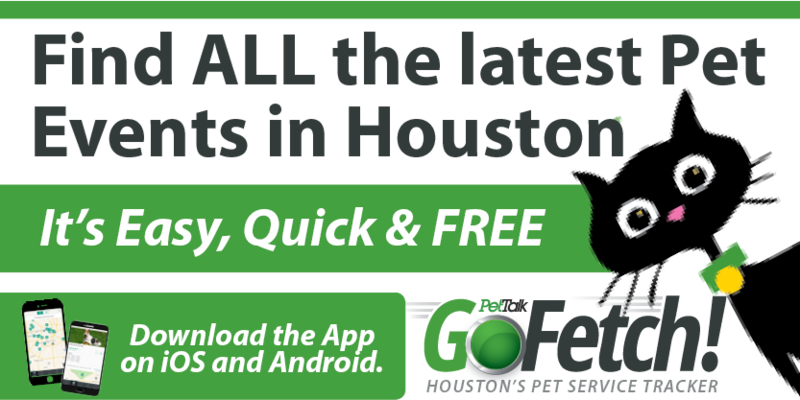 Immediately upon being alerted by both the Harris County Sheriff’s Department and the horse’s owner, the Houston SPCA team loaded their rescue gear and raced to the scene. Every second mattered if the horse was to survive. 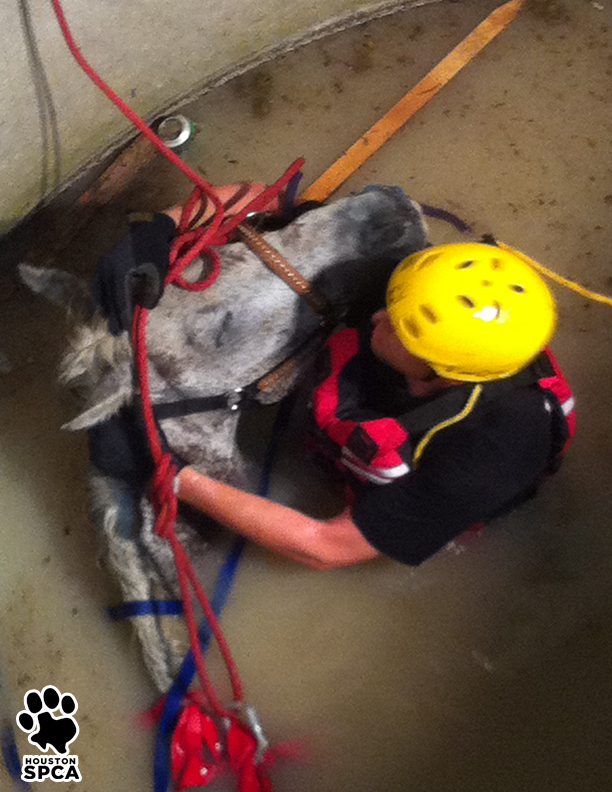 Chief Cruelty Investigator, Charles Jantzen, assessed the situation and found the frightened horse standing in 4 to 5 feet of murky water, 20-feet down from the surface. Jantzen realized he would have to use special harnessing techniques to secure the horse in order to lift him out of the water and save his life. Outfitted in safety gear, Jantzen bravely lowered himself into the dark well, where he calmed the frightened horse and safely secured the harness around the 1,100 pound animal. A nearby forklift was used to slowly and gently lift the horse out of the well and onto dry land. The horse was exhausted and suffering from minor cuts and bruises after his traumatic ordeal but was reunited with his owner. At this time, the horse is doing well and the Houston SPCA Investigations team will continue to monitor the horse’s condition and follow up with the owner.